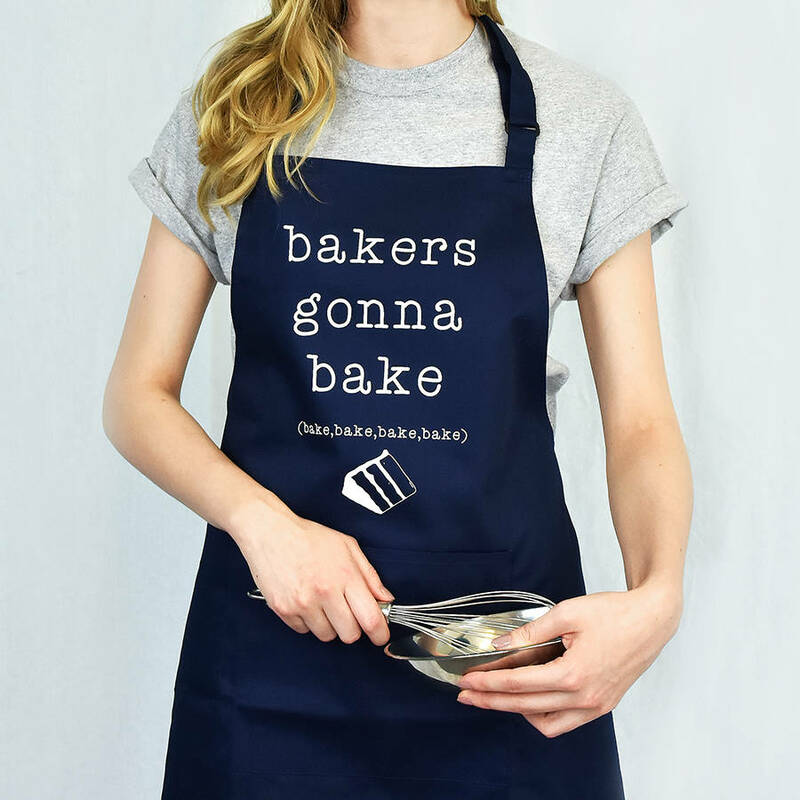 This witty bake off apron is the perfect accessory for anyone who loves to bake, or just make a mess in the kitchen! 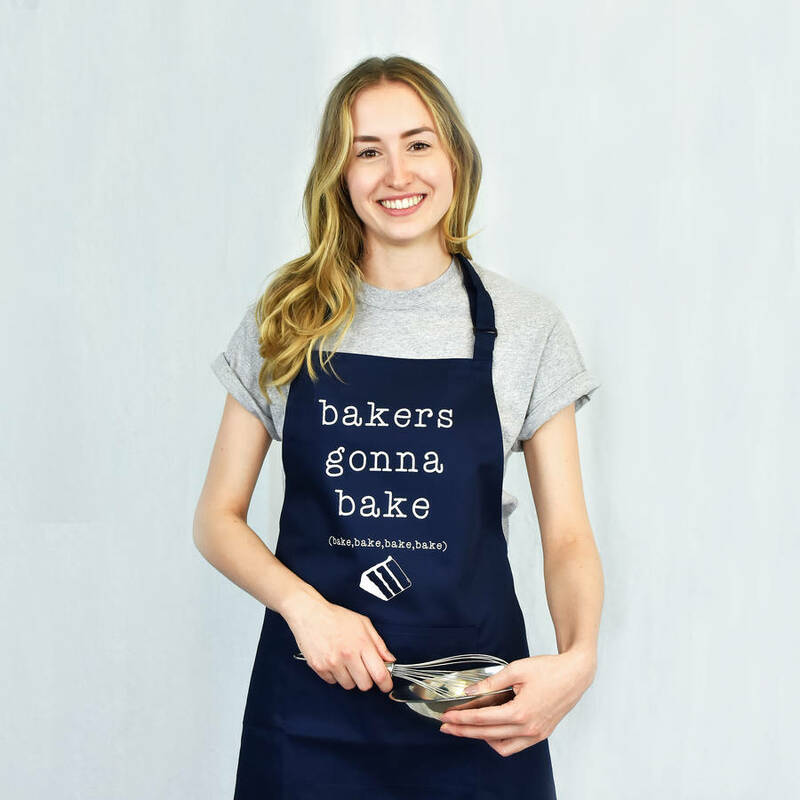 Ellie Ellie is delighted to launch our witty 'Bake off' collection; a collection of homeware essentials printed with fun and contemporary witty slogans, perfect for anyone who loves 'The Great British Bake Off' as well as a good British pun! 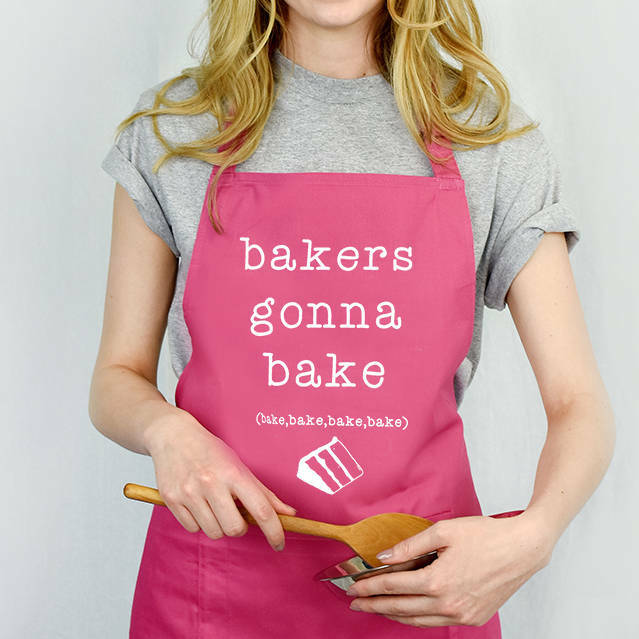 Design also available in a mug and a tea towel. 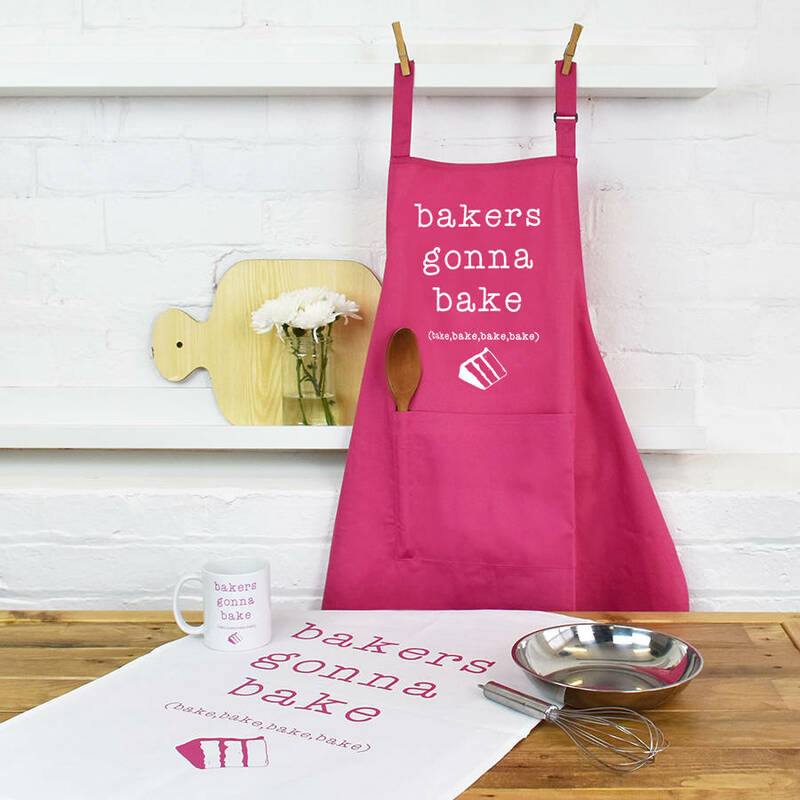 Available in either navy or pink with a white design. Is it a gift? We've got the perfect finishing touch, our Ellie Ellie Navy Pillow Box is the ideal way to make sure your gift is extra special. Front pocket with separate spatula compartment.